Sugars, Acids, Cavities, Oh My! Before we actually get into the list of harmful and healthy drinks for your teeth, first let’s break down the interaction between your oral environment and the food and beverages you ingest. Our mouths are full of living bacteria and certain kinds of bad bacteria that reside in there feed on the carbohydrate particles left behind from what we eat and drink. Refined sugars are certainly a preferred meal for bacteria but so are all starches, which are present in most foods, including cereal, bread, juice and even whole grains and fruits. When the bacteria digest their delicious carb snacks, they release acids that mix with your spit and food particles and form plaque, a sticky bacteria film. Plaque keeps on accumulating every time you eat and drink unless you brush and floss it away regularly. FYI: “plaque” is one of Dr. Jeff’s least favorite words because it’s just a vague sugar-coated term (see what he did there?). Let’s call it what it is: germs, bugs and debris. Eventually, if our toothbrush and dental floss don’t kick plaque to the curb, the acids erode the tooth’s hard, outer, protective layer, known as enamel, creating holes on the surface of the tooth. Over time, the bacteria and acids start to burrow into the second, softer layer of the tooth, called dentin. If untreated, they can even make it into the tooth’s pulp, which is the inner layer of blood vessels and nerves. You may not feel a small cavity but deep cavities close to the nerve can really hurt. Thankfully, the minerals in our spit, such as calcium and phosphate ions, as well as the fluoride found in things like toothpaste, mouthwash and tap water work together to kick off the remineralization process. Minerals that were lost from the acid attack are deposited back into the teeth. While brushing and flossing daily and going to the dentist for checkups and professional cleanings play an essential role in preventing tooth decay and stopping plaque in its tracks, your diet is important too. Very acidic foods and drinks can wear away the enamel leaving it even more vulnerable to plaque and sugar gives the bacteria something to feed on starting the process of demineralization. Opting for fresh vegetables and fruit, complex carbohydrates, lean proteins, low-fat dairy and healthy fats will give you the nutrients you need for both good oral and overall health. Of course, even foods like vegetables contain starches, and fruits and dairy have naturally-occurring sugars and acids, so no matter what you eat or drink, you need to make sure you’re practicing excellent oral hygiene. This way you’re getting all of the benefits and not creating a happy home for plaque. It’s not only what you eat and drink that leads to cavities, it’s also how you eat and drink. The demineralization and remineralization process is a tug of war that occurs constantly. When you have a sandwich or glass of juice, the acids from the bacteria linger for a half hour or so and you start the clock over again with each new bite or sip. Therefore, slowly munching on food filled with sugar or starches, snacking all day or leisurely sipping on that soda exposes your teeth to the sugars for longer, giving the bacteria more to feed on. The more frequently you have sugars, the more likely you’re going to have cavities. Your saliva and fluoride can only win the battle for so long. If you’re constantly bathing your teeth in sugar, you will get cavities. The moral is, if you do indulge in a can of soda, which we hope is only every once in a long while, drink it quickly and then brush your teeth or at least rinse your mouth out afterwards. There’s some debate about whether or not drinking through a straw will expose your teeth to less of the sugary liquid and while it’s up in the air, it probably couldn’t hurt to use one. At least then the soda isn’t getting swished around, touching every inch of your teeth. Anyway, now that your dentistry lesson is complete, on to the drinks! Book Your Free Visit With Dr. Jeff Today! Water: We know this one isn’t much of a surprise. Good old H20 is always number one among the drinks for healthy teeth and gums. If your water has fluoride in it, then it’s a double whammy of goodness. Water has no sugar or carbohydrates and drinking it is like giving teeth a bath. It washes away food debris and bacteria. It’s also a major component of spit, and saliva is a cavity’s worse enemy as we said before, with fluoride coming in a close second. 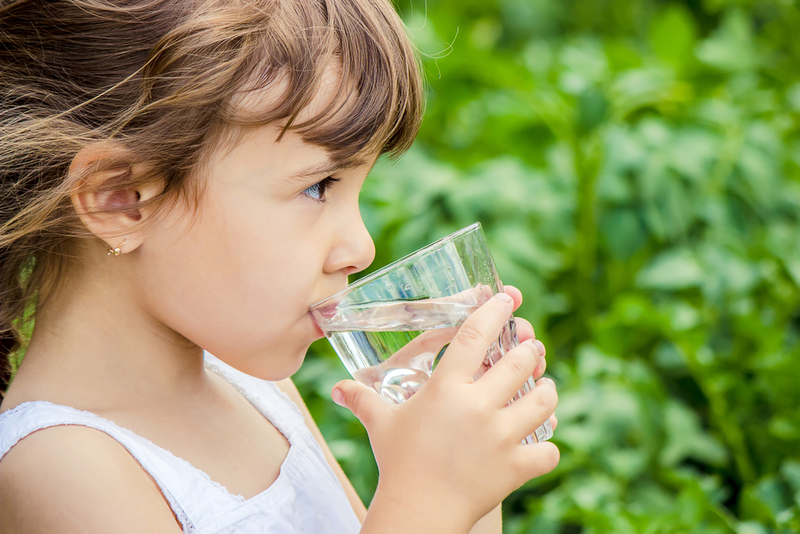 Water prevents dry mouth, keeps your body hydrated from head to toe and there isn’t a better drink parents can give their kids once they’re out of infancy. Milk: Experts recommend whole milk for the two and under crowd and low-fat milk for everyone else. Milk contains calcium, vitamin D and phosphates, which are essential for your overall health as well as the health of your teeth, gums and the bones that support them. Teeth actually happen to be made of mostly calcium, so getting enough of it keeps them strong. The combination of calcium and phosphorous encourages remineralization while the proteins found in milk, called caseins, create a protective layer that helps the enamel repel decay. Milk also decreases the acid levels in plaque so it’s suggested that kids and adults drink milk after eating something with sugar. Finally, research indicates milk may aid in preventing periodontal disease. The only caveat is that milk does have natural sugars in it. Never give a baby a bottle to sleep with in their crib with milk, formula or anything else or put milk in a sippy cup and let a toddler drink it throughout the day. The sugars will sit on their teeth, particularly at night when saliva production slows down, potentially causing cavities. Unsweetened Soy, Rice or Nut Milk: If your kiddo is allergic to milk, offer an alternative like unsweetened soy, rice or nut milk with added calcium. These substitutes can have similar benefits to cow’s milk and will strengthen the teeth and underlying bone and neutralize the acids in plaque. Unsweetened Tea (Particularly Green Tea): Obviously, if you’re giving tea to a child, make sure it’s decaffeinated. There are polyphenols in both black teas and green teas. These compounds give bad bacteria the boot, which in turn stops it from flourishing and producing the acids that cause plaque, cavities and bad breath. Black tea can stain the teeth and has a lower pH level, so drink it in moderation. However, unsweetened green tea could be something to make a staple in your beverage diet as long as it doesn’t interact with any of your medications or upset your stomach. Scientists have called it a “boon for periodontal and general health” and research suggests the flavonoids, including catechins, in green tea limit the growth of periodontal bacteria and reduce inflammation to lower the risk of gum disease or, for those who already have it, stop its progression and prevent the associated bone loss. Researchers at Penn State also found that a compound in green tea may actually trigger a protein that kills oral cancer cells. If you or your child aren’t a fan of green tea or black tea, white tea is great because it acts like water by keeping the saliva flowing and washing away food from your teeth without adding sugar or carbohydrates. If you’re looking for tea in El Dorado Hills, check out Tea Xotics (4356 Town Center Blvd, Suite 112). They have a great variety. 100% Fruit Juice: Here’s the deal, fruit juice is a much maligned beverage and, yes, the acidity can be a problem for kids’ teeth in larger quantities. Most of the store-bought versions are loaded with sugar, which is why it’s also included on the bad list. However, an extensive study published in the Journal of the American Dental Association found that drinking 100% fruit juice with no sugar added was not associated with early childhood caries in children one- through five-years-old and that as long as it was limited to four to six ounces per day, it was perfectly fine. The vitamin C in fruit is actually excellent for your dental health since it decreases inflammation and strengthens your gums and soft tissues, helping to prevent periodontal disease. Additionally, vitamin A keeps dry mouth at bay and encourages healing by giving mucous membranes a boost.If you’re up for making your own fresh-squeezed fruit juice, by all means, the occasional glass may help your kids’ teeth. However, be sure they rinse well afterwards, wait 30 minutes before brushing their teeth as the acid weakens the enamel temporarily and combine the juice with a larger meal to balance out the acidity. Keep in mind, fruit has naturally-occurring sugars so aim for children to get most of their antioxidants from whole, raw fruits and veggies instead of in liquid form when possible. Plain Sparkling Water: There has been some serious back and forth concerning sparkling water and teeth. The bubbles come from carbon dioxide and when the gases hit your mouth, a chemical reaction occurs turning them into carbonic acid, which could erode the enamel. However, even with the carbon dioxide, sparkling water is not as acidic as soda or orange juice. It appears that unflavored sparkling water (think Pellegrino) is less acidic than flavored or more highly carbonated varieties like club soda and will wash away food debris and encourage saliva production. More research needs to be done to determine its true effects on oral health. Avoid adding lemon, which increases the acidity, and drink it quickly and in moderation. It’s not something to reach for throughout the day but it’s certainly better than the items below. Coffee: This one is at the top of the bad pile because even though it’s one of the biggest offenders as far as staining goes and the acidity can wear down enamel, black coffee (for adults) might have some redeeming qualities thanks to the polyphenols found in it. Researchers discovered that a certain type of bean that’s used to make 30% of the world’s coffee has antibacterial qualities and breaks down the bacteria that cause plaque. However, once you add sugar, other sweeteners or cream to coffee, you’re negating even the tiny possibility of a positive effect on your dental health. We’re not so unrealistic that we’d suggest you give up coffee completely but drinking it black and in moderation is your best bet. Chocolate Milk: While it may not be as bad as soda since it does have calcium and phosphates, chocolate milk is only marginally better. The sugary chocolate syrup really levels out the benefits. The sugar will feed the bacteria in the mouth just like any other sweet drink, which causes cavities. Alcohol: This is another drink listed for the adults. Alcohol is acidic and wears down enamel. It also contains sugar increasing the risk of cavities and gum disease and it’s dehydrating leading to dry mouth. You may have heard that a glass of red wine is good for your health due to its antioxidants, however, it leaves behind deep-set, dark stains. Commercial Fruit Juices: While 100% juice is okay in small quantities, store-bought juice with added sugar is a whole different story. Considering fruit has plenty of natural sugar, when more is thrown in there it makes the sugar levels pretty astronomical. Plus, citrus fruits are highly acidic. In fact, orange juice may decrease the hardness of enamel by 84% and also roughen up the surface of teeth. While for years it was thought to be a healthy beverage, it can be a major cavity causer. If you really want to give your child juice, the American Academy of Pediatric Dentistry recommends watering it down and drinking it one sitting as opposed to sipping it throughout the day. Bottled or Canned Iced Tea and Lemonade: Bottled drinks like iced tea and lemonade are usually brimming with sugar. Just like fruit juice, lemonade, even the kind that probably contains almost no actual lemon, is acidic to boot. The high sugar content feeds the bacteria that cause plaque and dries out the mouth preventing saliva from saving the day. A study found that canned iced tea dissolved enamel at a rate of 30 times more than coffee. Sports Drinks and Vitamin Waters: Sports drinks have come under fire for causing cavities with their acidity and added sugars and many parents have stopped giving them to their kids. This is definitely the right move because they’re almost as bad for your teeth as soda. While Olympic athletes and marathoners may glean some benefit from the electrolytes and sugar that replace nutrients they lose from sweating, it turns out the average weekend warrior or child athlete won’t see a difference. The positives don’t kick in until you’ve been engaging in heavy exercise for more than an hour and even then, people who eat a balanced diet will usually be fine with just water. Instead of providing a performance and health enhancement, the acid weakens the enamel and then the bacteria go on a sugar feeding frenzy. Think Vitamin Water is better? It contains even more sugar than a Snickers bar. If your child needs to refuel after a game, try whole grain cereal with low-fat milk or Greek yogurt and a handful of berries. Energy Drinks: Energy drinks may give you a little extra pep in your step but they can also cause big problems. Black coffee is the better option for an energy boost. In a study, energy drinks actually stripped away more tooth enamel than sports drinks. Both the sugar and sugar-free energy drinks were concerning because of the added citric acid, which eats away at the enamel and leaves teeth very susceptible to decay. Diet Soda: Diet soda has artificial sweeteners and no real sugar so it’s safer for your teeth, right? Actually, not really. It often surprises people when we list diet soda as one of the worst drinks for your teeth. Unfortunately, it’s corrosive and when researchers compared it to regular soda, both diet colas and diet non-colas were almost equally as detrimental to tooth enamel as their sugary counterparts. For those who drink Diet Coke or Diet Pepsi, don’t even think about squeezing that lemon wedge into it. The combination is akin to rubbing your teeth with battery acid. Soda: Not only do soft drinks have a high sugar content and carbonation, they also contain additives like phosphoric and citric acids and sometimes malic and tartaric acids too. What does this mean? Well, these acids are extremely aggressive on enamel. A notable study found that cola drinks (regular Coca-Cola and Pepsi and the diet varieties) dissolved enamel 55 to 65 times more than the baseline, which was water and root beer, and non-cola drinks were even worse, dissolving enamel at a rate of 90 to 180 times greater than the baseline. Root beer was the safest soft drink and on the opposite end of the spectrum, Mountain Dew was the biggest offender. The diet versions were not better in most of the cases. Some of the soft drinks, such as Coca-Cola, actually sat on the teeth longer than other foods or beverages and weren’t as easily washed away by saliva. When you or your child do indulge in soda, drink it quickly and rinse really well with water immediately after. Being aware of the sugar content and acidity in drinks will go a long way in preventing cavities and gum disease. If you or your child are wearing braces, limiting sugary beverages is even more important since it’s easy for plaque to build up between brackets and wires and decay can set treatment back. Build healthy hydration habits by making water your drink of choice and rounding things out with milk and unsweetened green tea. Remember, we need your help with a good diet and amazing hygiene to make your smile more beautiful than it already is, so if you have any questions, just ask us, we’re always here to help.